This is my 1 year anniversary blogging my stuff. HUGE THANK YOU to all of you who have stopped by, those who follow and all of your encouraging words! THANK YOU! I have enjoyed forcing myself with a deadline each week. 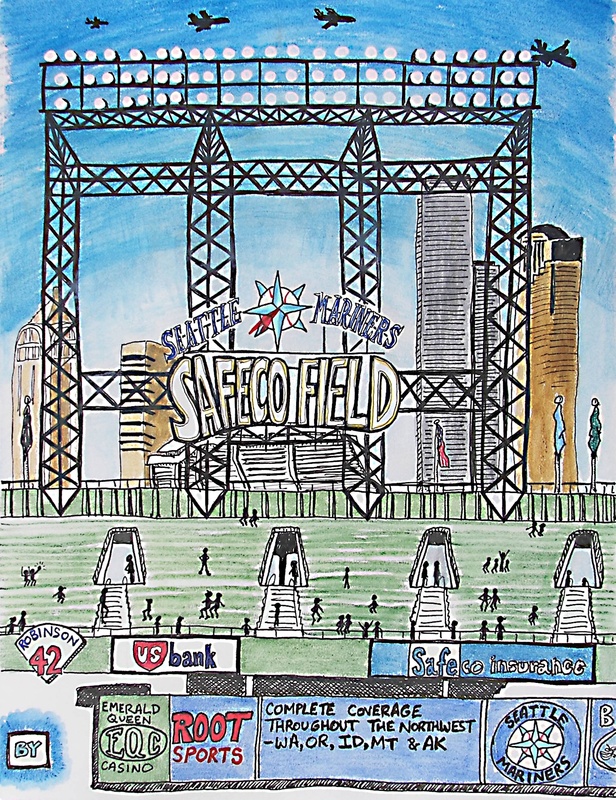 Since this is my one year anniversary as a blogger and I love baseball and this is the last day of the season for me and the other 19 Seattle Mariner’s fans out there, I am posting this for us. (only 5 months till Spring Training!…and of course, NEXT year will be OUR year…) I got to go to another Mariner’s game last week, we lost, still had great fun and food that’s probably not good for you and way overpriced, but I am in it for the memories! Thank you all again and I’m looking forward to sharing my doodles with you for another year.